Retrospective applicability of Green Tribunal’s lake buffer rule: Citizens in the soup? 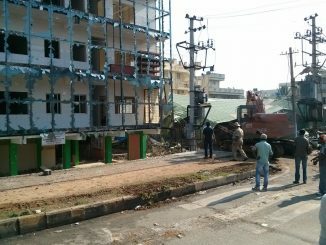 In April last year, Citizen Matters had published an article on Bruhat Bengaluru Mahanagara Palike (BBMP) and the Urban Development Department apologising to the National Green Tribunal (NGT); This was after the BBMP had claimed the NGT’s order increasing the buffer zone to 75 metres was not applicable retrospectively. The NGT was upset, and lashed out at the state bodies, objecting to the term ‘quasi-judicial body,’ which the agencies had used to describe the Tribunal. As a result, the Karnataka government’s Urban Development Department and the BBMP retracted the notifications that clarified the NGT ruling, and apologised to the Tribunal. We had predicted that the confusions will continue as a result. The article said: This could affect the legalisation of hundreds of building plans, residential and commercial, that followed old buffer zone rules and got sanctions, some of them even before the NGT rule came into effect. The occupancy certificate and completion certificate may be hard to obtain, if the new NGT rule is applicable for all the projects that are in progress. That prediction seems to have come true. 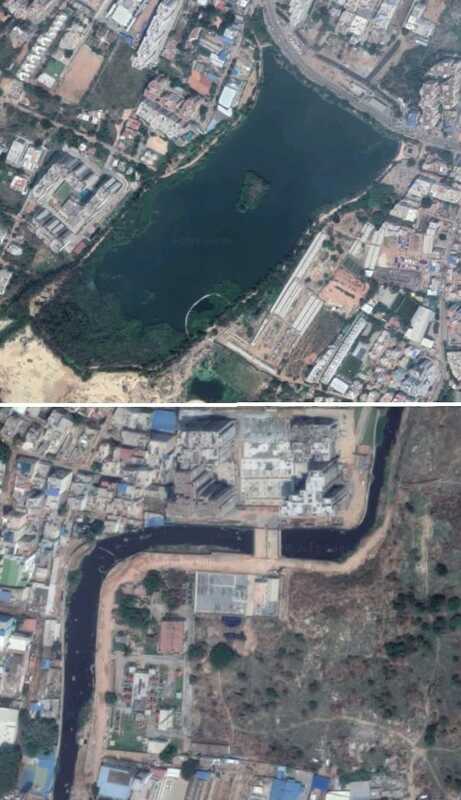 It has been two years and three months since the NGT ruling to increase the buffer zone across all water bodies in Bengaluru came into force. The manner of execution has impacted middle-income people dreaming of owning homes in Bengaluru. The buffer zone around water bodies continues to be occupied and constructions on these buffer zone still continue. As explained earlier, the BBMP withdrew the circular that interpreted the NGT buffer rules as prospective ruling. The BBMP town planning department seems to have totally reversed its stand on the issue without pursuing the matter further, while the Tribunal didn’t bother to clarify the retrospective applicability of the law. All the apartment projects which were under various stages of construction when the NGT ruling came in (on May 4 2016), are now facing uncertainty, because of this ambiguity. Though the constructions happened as per detailed sanctioned plans, adhering to prevailing zonal rules when the buffer zone was 30 metres, the BBMP now refuses to give OC / CC to these buildings. SJR Watermark apartments on Haralur Road got its occupancy certificate in October 2016 from the BBMP. The building plan sanctions and approvals were obtained in 2012, when the buffer zone was 30 metres. The construction didn’t violate any of the prevailing zonal regulations, say people in the know. Citizen Matters could not verify this independently, though Google maps show constructions in the 30 metre gap between the lake and the project. A resident of Bengaluru, K S Ravi filed a case in NGT principal bench, pointing that the BBMP’s occupancy certificate issued to SJR Watermark project, which is built right next to Kaikondrahalli lake, is a violation of the NGT buffer zone regulations directive dated 4/5/2016, which mandates 75 metres buffer zone. Reacting to this, the BBMP cancelled the Occupancy Certificate on January 1, 2018. SJR Primecorp, the builder challenged the cancellation of occupancy certificate in Karnataka High Court and obtained a stay. The stay was challenged by K S Ravi in the Supreme Court. The SC vacated the stay and barred selling of the properties in this project. So people are stuck with a bad investment, which might even be razed down anytime. The case filed in the National Green Tribunal principal bench (case # OA 1/2018), was dismissed without any verdict on 4/9/2018, as the case was already in High Court and Supreme Court. Technically the apartment complex with nearly 600 units is now illegal, and the outcome will depend on the Supreme Court case. A similar issue impacts the Sobha Dream Acres project, meant for low-income groups, coming up in Panathur. The project has about 6000 flats, and most have been sold to lower middle class segments under the Pradhan Mantri Awas Yojana (PMAY) scheme. 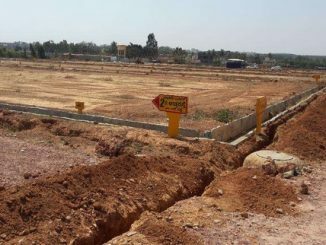 Sobha Dream Acres got approvals prior to the NGT order, with 25-metre buffer zone from a secondary raja kaluve running through the property. Now the BBMP is denying Occupancy Certificate for six buildings in the project as NGT rules now stipulate 35-metre buffer zone for secondary channels. Eight towers located on either side of the stormwater drain do not maintain the 35 metres from the storm water drain, which is the buffer distance as per the new NGT rule. This will impact a few hundred families who invested in this project, trusting the existing plan sanctions and authenticity under PMAY. 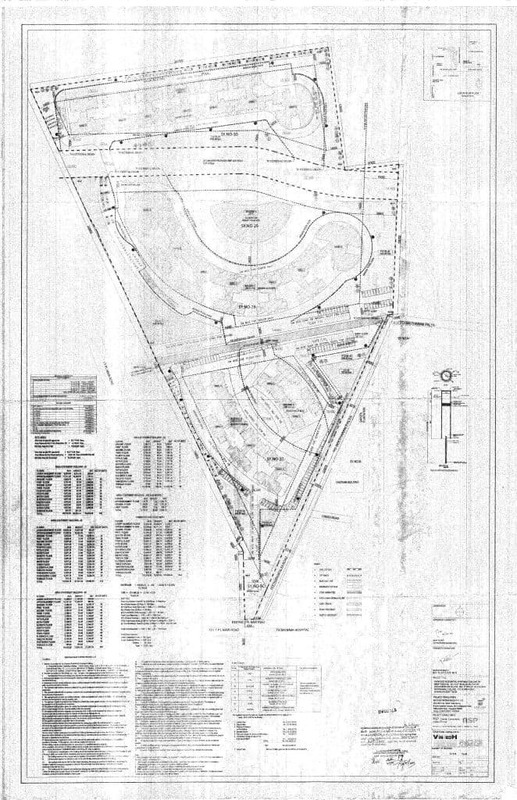 This is the copy of the sanctioned plan with 25-metre demarcation. Meanwhile, the builder continues to sell these flats and has even registered the flats on behalf of respective buyers in their name, as occupancy certificate is not required for flats to be registered. The Brigade Lakefront project, a high-end luxury project at Kundanahalli, has a block named Blue Block impacted because of the retrospective action of BBMP. They have left 30 metres from the lake as buffer, and now the law stipulates 75 metres. The BBMP has refused to give occupancy certificate for the same. The builder Brigade Enterprises even assured its buyers in writing that the NGT order is prospective and their approvals were obtained prior to the NGT order. The copy of the letter and copy of the plan sanction are below. But the occupancy certificate is held up for certain sections, while the rest of the towers in that project have secured the OC. There are more projects which are in the final stages of construction that will get impacted by this. The increase of buffer zone for secondary and tertiary channels impact more projects than the lake buffer zone of 75 metres. Most of the secondary and tertiary drains exist on 100-year-old maps that were prepared long before the city was built up, but the topography has changed since then. Even Revised Master Plan 2015 didn’t have any markings to classify a majority of the drains. The process which BBMP undertakes to accord sanctions and remove encroachment is illogical, to say the least. BBMP didn’t have the habit of checking either revenue maps or master plan documents before according plan sanctions and approvals. Even if it referred to them, many of the secondary and tertiary drains existing in the 100-year-old village maps are not present in these maps. However, to identify the encroachment and demolish the structures, BBMP uses 50-year-old revenue maps, as there has been no land survey undertaken in the last 50 years! People who invested in these under-construction projects cannot afford to defer registration / possession of the flats until the occupancy certificate is obtained, as they never know how long it will take. Most buyers have home loans and monthly repayment schedules which affect their finances when their real estate purchase becomes a bad investment. Therefore, they eventually end up registering the property and taking possession of flats, with all illegalities, without occupancy certificates. Santhosh K, who provided the documents and leads to Citizen Matters on the issues highlighted here, has also been affected by the ruling. He says that from a practical perspective, the BBMP, Urban Development Department and the NGOs/ activists filing cases of violation of NGT rules in court, should realise that rules related to buildings cannot be changed at the whims and fancies of the courts, because it affects thousands of families. He feels that if the BBMP has approved a detailed sanctioned plan based on prevailing norms, they cannot apply amended rules while approving commencement and Occupancy Certificate in due course of construction. That would be unfair on buyers. Buyers get into an agreement with builders, once the building sanction plans are approved by the BBMP, and most of the building cost would have been paid by them based on the stage of construction. If the sale deed is executed, then 100 percent would have been paid. Close to 19 Supreme Court cases have been filed in the last two years against the NGT order. The cases were filed against the order on increasing the buffer zone. Even the Government of Karnataka’s appeal in the Supreme court is purely against the increase of buffer zone. “None of them are trying to clear issue of prospective/retrospective applicability of the order. Also, court proceedings in SC are not being fast-tracked, given the severity and possible impact on thousands of families,” points out Santhosh K. This has left many innocent buyers’ financial security vulnerable in the hands of builders and BBMP. “Law passed today cannot apply to events of the past. If we do something today, we do it keeping in view the law of today and in force and not tomorrow’s backward adjustment of it. “Our belief in the nature of the law is founded on the bedrock that every human being is entitled to arrange his affairs by relying on the existing law and should not find that his plans have been retrospectively upset”. Ravichandar, Bengaluru-based urbanist and a member of the Expert Committee on Bengaluru Restructuring, formed a few years ago, has been following the issue. He feels the application of any law retrospectively doesn’t seem inherently fair. “Because when the person got the permission [for a construction], it was in consonance with the laws prevalent at that point of time. Therefore they are not in violation. Applying a ruling retrospectively is against the principles of natural justice. Retrospective applicability has no time limit, it can be applied upto 1980s and beyond – there is no end to it,” he opines. “If the retrospective applicability is upheld, then nothing is sacred anymore!” he quips. There needs to be a ban on any new permissions, but the plans sanctioned before the order and consistent with the law at the time should be allowed to proceed. There are a lot of projects near the lakes and drains in Bengaluru, which might get affected because of the buffer zone rule. The retrospective applicability of buffer zones is tricky for another reason. “The maps showing secondary and tertiary drains aren’t clear-cut, and the terminology is ambiguous. Even the RMP 2031 doesn’t have it. Lake boundaries are under dispute. In such a situation, the terminology applicable and boundaries must be clearly stated on GIS maps online, as many citizens may not even know they are in violation of boundaries,” Ravichandar explains. What can happen if the courts stick to the retrospective applicability of the rule? One, people might start living in the buildings without occupancy certificate. A lot of properties in older Bengaluru region do not have occupancy certificate even today, points Ravichandar. The larger issue is this: any existing building in the buffer zones, near secondary and tertiary nalas and rajakaluves, built before the NGT ruling came, cannot be brought down for redevelopment in future at all. They will not be sanctioned new plans. “Then people cannot monetise the real estate to get returns on their investments. The land will then become a dead asset. With this problem, the issue will become political, with citizen pushback and campaigns to fight the ruling,” says Ravichandar. Note: This piece has been edited for accuracy, after publishing. 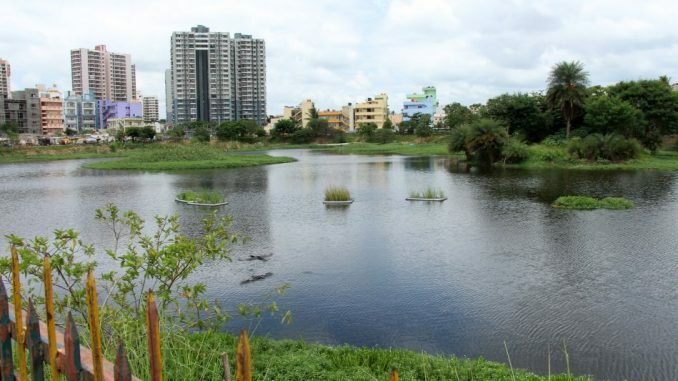 While the government is keen to regularise the BDA layouts on lakes, the Bengaluru Urban DC V Shankar is ready to go with whatever the government decides. In an interview, he talks about the demolition drive that is going on in Bengaluru. Elinor Ostrom visited Kaikondrahalli Lake and gave her views on governance of the commons and citizen initiatives. A recent amendment to the town planning act stops developers from selling properties to buyers before the layouts are developed fully and approved by the authorities. With this, the practice of letting developers sell 60% to buyers before developing the layout will be done away with. Ngt ruling of bufferzone is unscientific rajakaluves are like nerves all around bangalore… There are not thousands but several lakhs houses near and ajecent to bufferzone NGT ruling cannot be implemented by any govt.